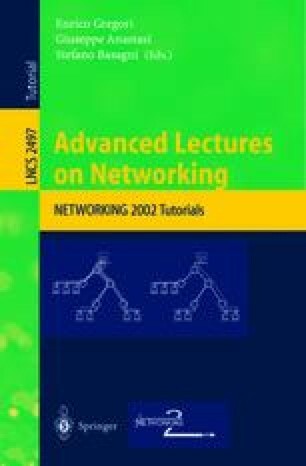 Recent advances in wireless networking technologies and the growing success of mobile computing devices, such as laptop computers, third generation mobile phones, personal digital assistants, watches and the like, are enabling new classes of applications that present challenging problems to designers. Mobile devices face temporary loss of network connectivity when they move; they are likely to have scarce resources, such as low battery power, slow CPU speed and little memory; they are required to react to frequent and unannounced changes in the environment, such as high variability of network bandwidth, and in the resources availability. To support designers building mobile applications, research in the field of middleware systems has proliferated. Middleware aims at facilitating communication and coordination of distributed components, concealing complexity raised by mobility from application engineers as much as possible. In this survey, we examine characteristics of mobile distributed systems and distinguish them from their fixed counterpart. We introduce a framework and a categorisation of the various middleware systems designed to support mobility, and we present a detailed and comparative review of the major results reached in this field. An analysis of current trends inside the mobile middleware community and a discussion of further directions of research conclude the survey. Alternis S.A. Solutions for Location Data Mediation. http://www.alternis.fr/. V. Apparao, S. Byrne, M. Champion, S. Isaacs, I. Jacobs, A. L. Hors, G. Nicol, J. Robie, R. Sutor, C. Wilson, and L. Wood. Document Object Model (DOM) Level 1 Specification. W3C Recommendation http://www.w3.org/TR/1998/REC-DOM-Level-1-19981001, World Wide Web Consortium, Oct. 1998. T. Bray, J. Paoli, and C. M. Sperberg-McQueen. Extensible Markup Language. Recommendation http://www.w3.org/TR/1998/REC-xml-19980210, World Wide Web Consortium, Mar. 1998. CellPoint, Inc. The CellPoint System. http://www.cellpt.com/thetechnology2.htm, 2000. J. Clark and S. DeRose. XML Path Language (XPath). Technical Report http://www.w3.org/TR/xpath, World Wide Web Consortium, Nov. 1999. D. C. Fallside. XML Schema. Technical Report http://www.w3.org/TR/xmlschema-0/, World Wide Web Consortium, Apr. 2000. W. Forum. Wireless Application Protocol. http://www.fub.it/dolmen/, 2000. E. Maler and S. DeRose. XML Linking Language (XLink). Technical Report http://www.w3.org/TR/1998/WD-xlink-19980303, World Wide Web Consortium, Mar. 1998. Microsoft. NET Compact Framework. http://msdn.microsoft.com/vstudio/device/compactfx.asp, 2002. E. B. R. A. Networks. ETSI HIPERLAN/2 Standard. http://portal.etsi.org/bran/kta/Hiperlan/hiperlan2.asp. OMG. CORBA Component Model. http://www.omg.org/cgi-bin/doc?orbos/97-06-12, 1997. Oracle Technology Network. Oracle9i Application Server Wireless. http://technet.oracle.com/products/iaswe/content.html, 2000. P. Reynolds and R. Brangeon. Service Machine Development for an Open Long-term Mobile and Fixed Network Environment. http://www.fub.it/dolmen/, 1996. Salutation Consortium. Salutation. http://www.salutation.org/, 1999. SignalSoft. Wireless Location services. http://www.signalsoftcorp.com/, 2000. Softwired. iBus Mobile. http://www.softwired-inc.com/products/mobile/mobile.html, Apr. 2002. Sun Microsystem, Inc. Java Micro Edition. http://java.sun.com/products/j2me/, 2001. Sun Microsystems, Inc. Jxta Initiative. http://www.jxta.org/, 2001. Ubi-core. Universally Interoperable Core. http://www.ubi-core.com, 2001. UPnP Forum. Universal Plug and Play. http://www.upnp.org/, 1998.